Guerrilla Motion Pictures Inc., specializes in aerial videography and photography in Edmonton, Calgary and throughout the province of Alberta. We will take your vision to new heights with crisp 4K video quality and stunning 12MP still images. 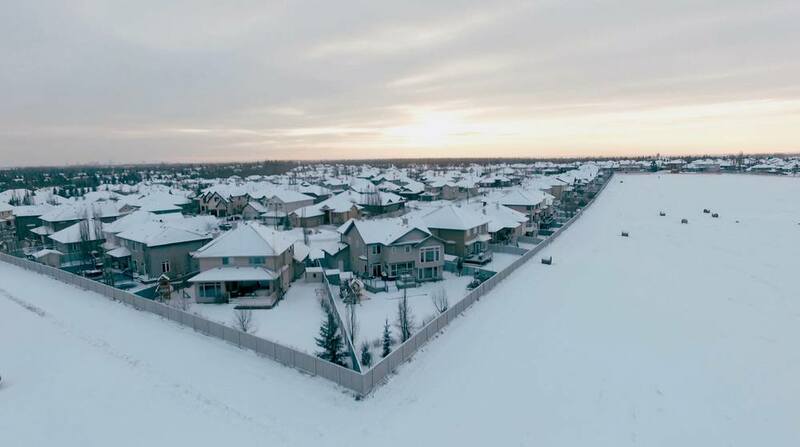 Our drone pilots hold a Civil & Commercial UAS Certificate from Canadian Unmanned Inc. & ROC-A from Industry Canada and carry a mandatory SFOC issued by Transport Canada and liability insurance to ensure that each operation is safe and legal. Don't be fooled by many of the UAV companies out there that are operating illegally! Our pilots are able to get those perspectives that were once deemed “unfilmable” or tremendously high-priced due to helicopter fees. We guarantee we will be able to capture beautiful footage regardless of the task or location and we will be able to achieve this at a fraction of the cost of a helicopter. 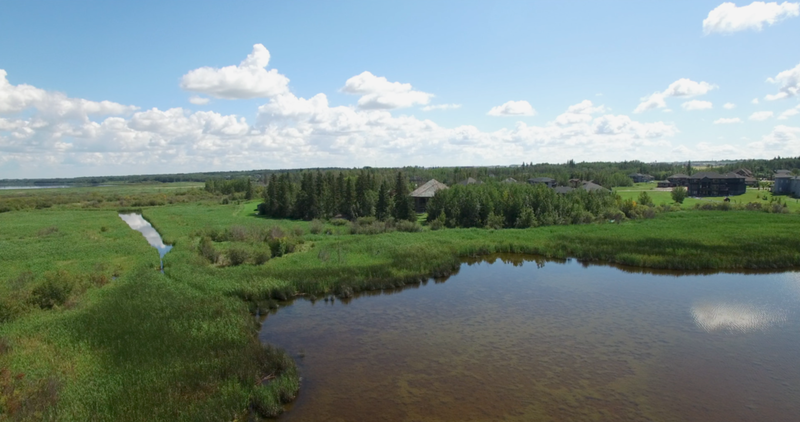 We offer many services in regards to Aerial Photography and Video in Edmonton (and Area). We go by the philosophy "if you can dream it we can fly it". We offer everything from litigation to corporate aerial video/photography, land assessment, inspection, real estate, golf course fly-throughs, wedding videography and so much more. Let us know your idea and we will make it happen! 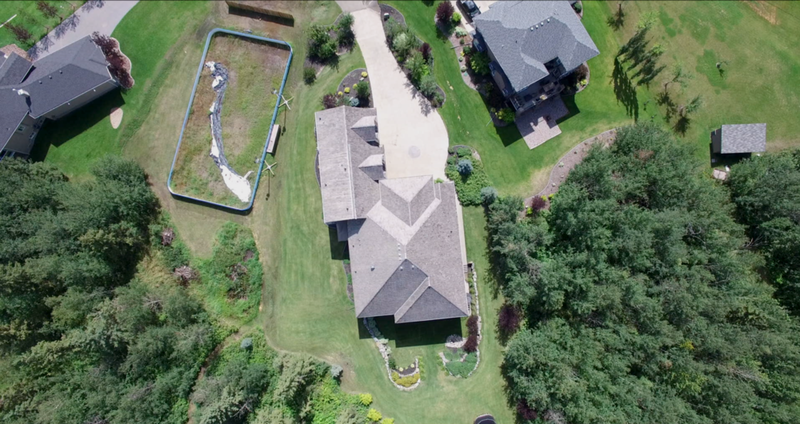 Real Estate Aerial photography and videography is becoming a very popular way to promote your listings to potential buyers. All eyes will be immediately drawn to your property with unique aerial views, a perfect way to make your property stand out from all the others on the market. There are many golf course in Alberta and it is often difficult to distinguish one from the other by just driving by. A video on your website featuring our aerial videography will give golfers an overview of what your course has to offer. We are able to get a birds-eye view to showcase just how amazing your course is – course layouts and a hole by hole fly through will drive golfers to your course! We believe Commercial Aerial Photography and Videography is very important because it gives your clients an entire scope of your project. Whether it is oil field work, land assessment, construction, litigation, or footage of your industrial site, aerial photography and videography is the way to go. The benefits of drone footage for your project are limitless: being able to fly up to 1km, wide angles, close-ups and angles that are often unreachable by planes or helicopters. Our high-resolution shots will give your clients a true look into what your property is really like. Need a shot of the Edmonton skyline for your newest film? 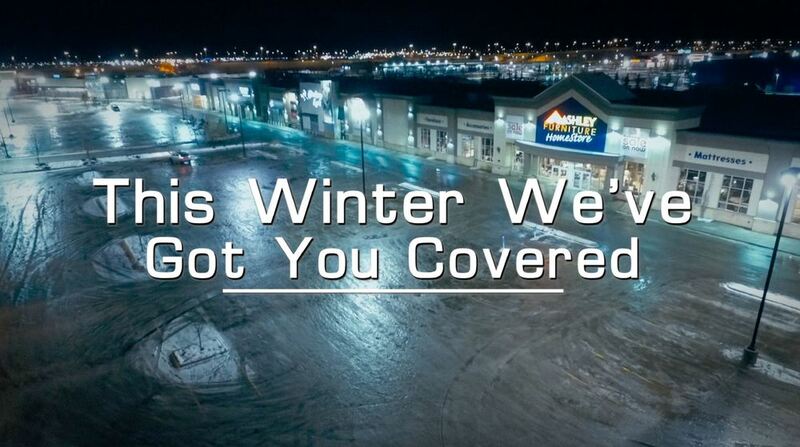 Want a time-lapse of the traffic on the Anthony Henday for a new corporate video? Or just want a video of your friend floating down the mighty North Saskatchewan river on a Sunday afternoon? No problem! With our drone access to remote locations and exciting new perspectives we will take your video to new heights. We are proud to have worked with many cinematographers in Edmonton and area so whether it is films or wedding videography we would be happy to help out.